If you ever needed proof that the creative juices are well and truly flowing in Munich, you would only have to look at the latest concept to roll out of the BMW Junior Company. The innovative training unit was founded to encourage BMW trainees to let their imaginations and creative flair run wild and the Hover Ride is the result of such an initiative. However, BMW also have the bods at LEGO Technic to thank, as this piece of design was originally offered as an alternative model to those bored of the standard 603-part LEGO Technic BMW R 1200 GS Adventure set. 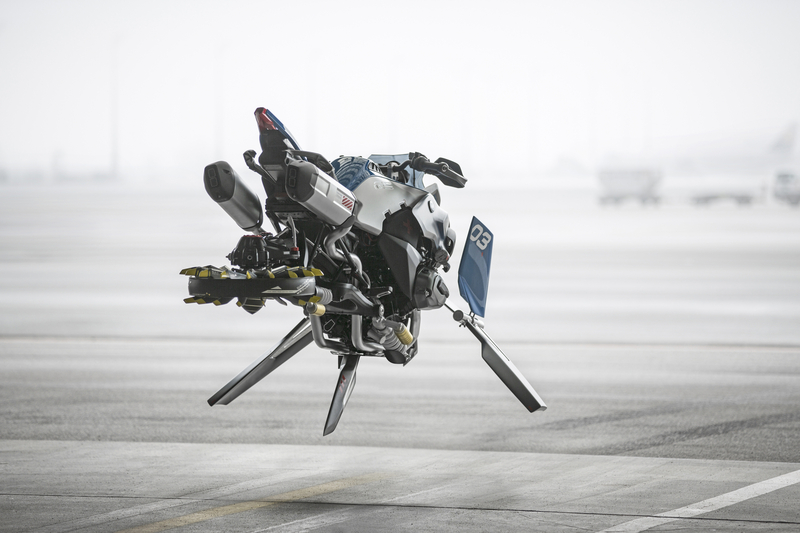 Naturally, the brilliant minds at the Junior Company decided to create a full-size replica of the hover bike, complete with several components – such as the front-wheel rim modified to form a propeller – that had to be specially fashioned for the project, demonstrating the youngsters’ skilled craftsmanship. Unlike the LEGO Technic model, which features moving versions of the authentic BMW Telelever front-wheel suspension, the universal shaft drive and the BMW Motorrad two-cylinder boxer engine, the hover bike can’t complete the daily commute… yet. 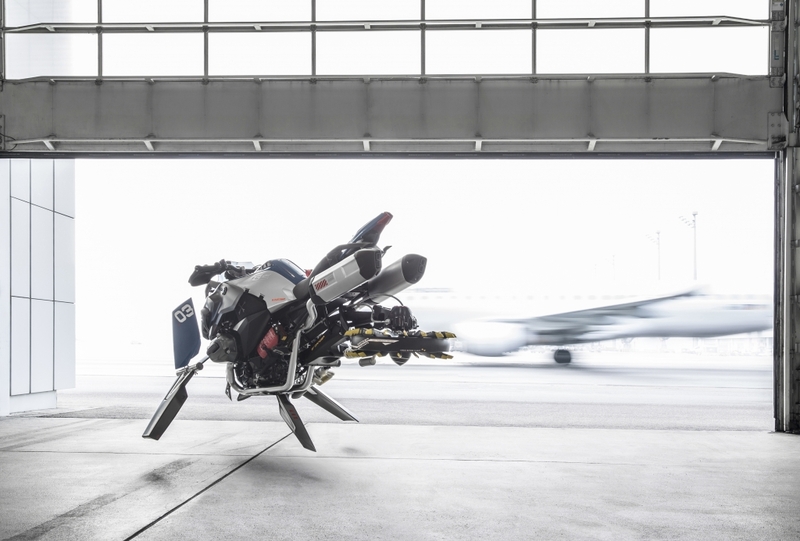 “It was a great idea and a superb creative challenge to develop a fictitious model from the parts of the LEGO Technic BMW R 1200 GS Adventure set,” explains Alexander Buckan, Head of BMW Motorrad Vehicle Design. Yeah, yeah Alexander, that’s fantastic. But when are you going to make this a reality?